We have provided so much information content about iOS version of WhatsApp on How to Chat Online. This time we would like to mention about a feature of the application which will provide nice statistics to you. You can learn how much total messages you have sent to people through WhatsApp with a data feature of the application. We will tell you how to find those statistics on this page. 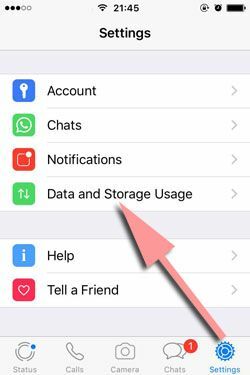 You will get more information about usage of the WhatsApp with the guide which we have provided you below. If you have any questions, please feel free to ask us. 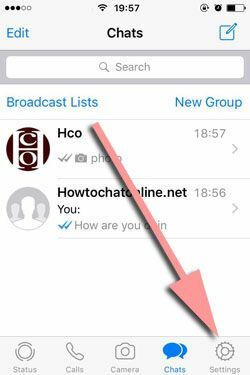 You can also share total messages that you have sent through WhatsApp via commenting this page. 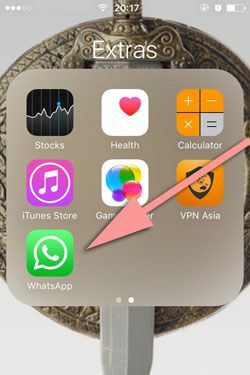 1-) Run WhatsApp Messenger on your iPhone device or iPad device. All these steps are same for any iOS devices. If you have any trouble with applying these steps below, please let us know though. 2-) Tap on settings button (the cog icon) at the menu of WhatsApp. Please see the picture below for the location of settings button. 3-) Swipe down on settings page and tap “Data and Storage”. 4-) Swipe down on “Data and Storage” page until you reach the bottom and tap on “Network Usage”. 5-) You will find out total messages that you have sent at the top of the page. The number which is written for “Sent” is total messages number that you have sent. That’s all, you can also get many other useful/fun information through this page. You can share how much total messages that you have sent with us via commenting this page. You can follow all steps above to see sent messages on iPhone and other iOS devices. This feature is free and you don’t need any other application or third party stuff for this. Please contact us if you have any questions regarding this.